Offering a two-toned look of black and bronze, the Scroll Bronze Wood Burning Fire Pit from Dagan Industries would be a stylistic compliment to any Outdoor Room! 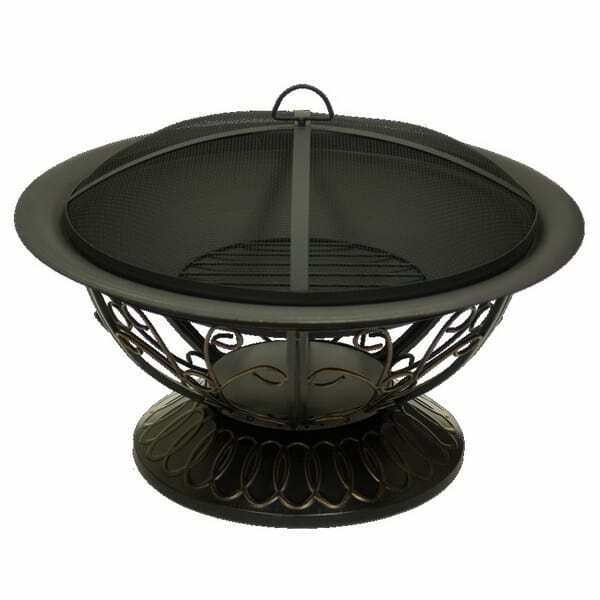 Lightweight for easy movement at 24 lbs., this fire pit offers just enough weight to prevent damage from the wind. Friends and neighbors alike will love the scrolled bronze on the base and supports of this model, along with the wonderful warmth a wood burning fire pit always provides. Create another space to entertain family members and guests; we promise the classic look of this model will match any home's exterior.